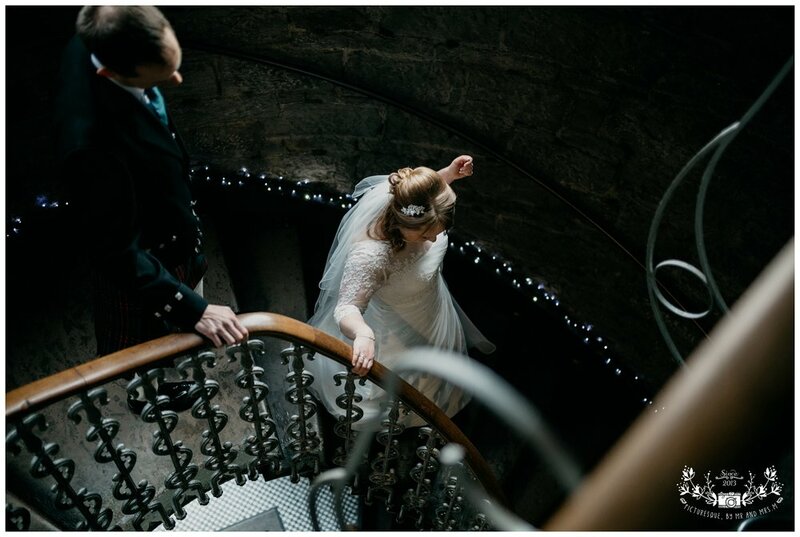 Katie and Malcolm were married at the Ghillie Dhu on 13 April and it was such a great, fun day. 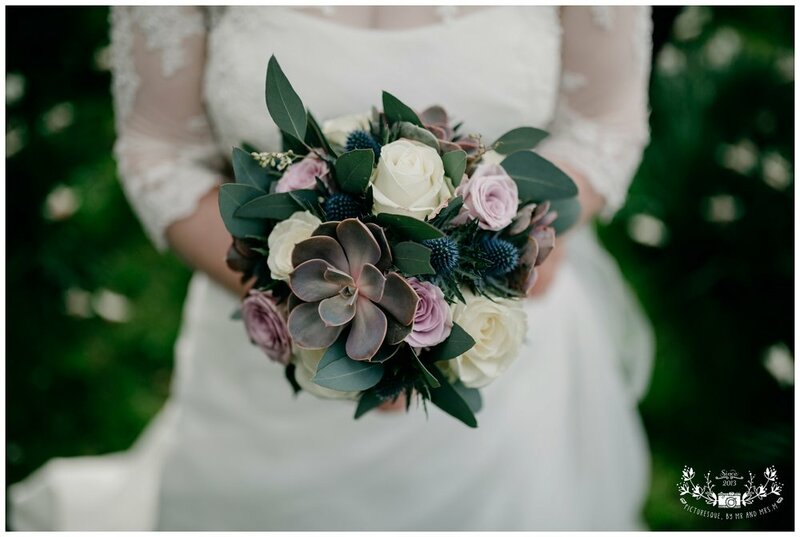 When they came to see us in our studio to book us they said that we were exactly what they had been looking for - although they hadn't known that til they met us - how nice is that!? The Ghillie Dhu is absolutely stunning. It's very unique and lush. It was our first time there and as we admitted to Katie and Malcolm when they collected their USB we were pretty nervous about it. 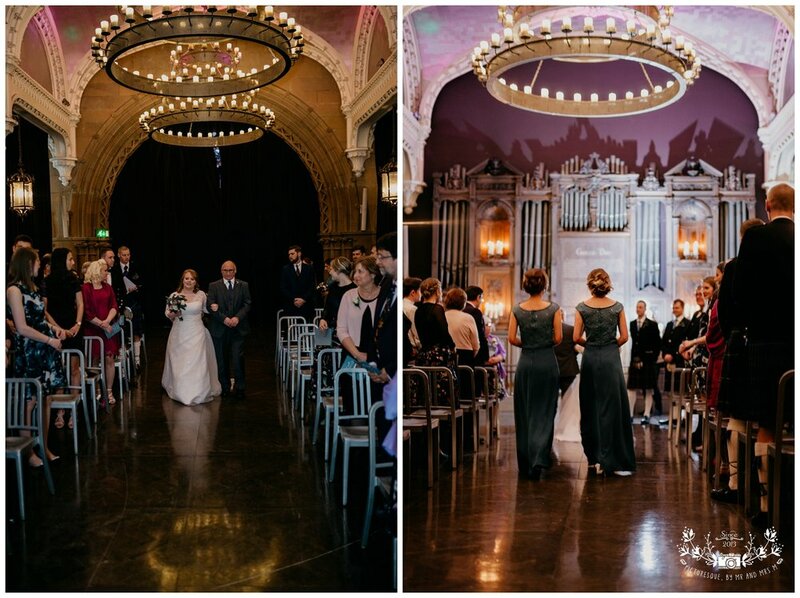 We knew the dark interior was going to be a challenge and we hoped we could do the venue justice. We are really happy with how the whole album has come out and are delighted that Katie and Malcolm are too as they left us a lovely review! 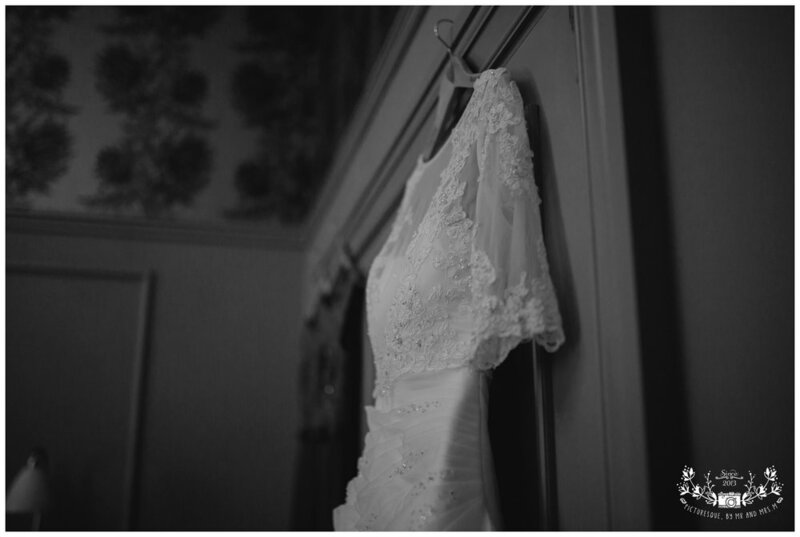 Katie started off at the Waldorf Astoria which is also absolutely stunning, and she was so calm and collected as she opened the door to us that we knew she was going to be the perfect bride. Her morning ran smoothly and she looked stunning along with her bridesmaids. 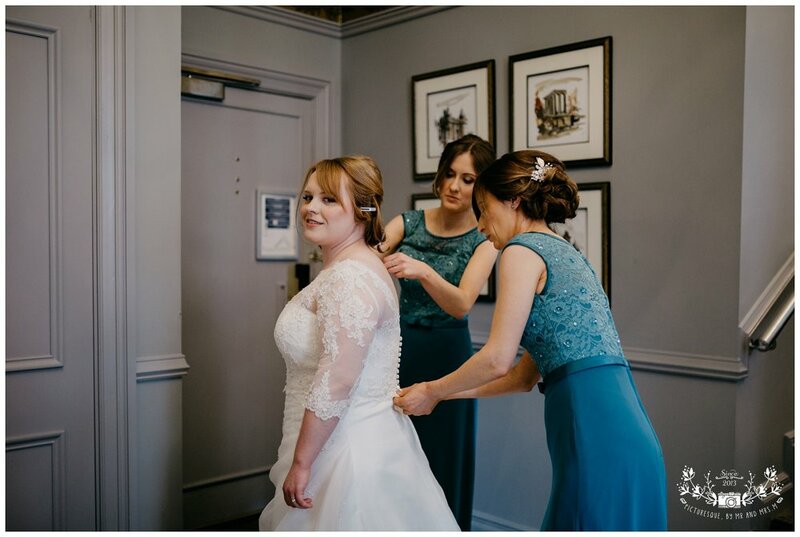 The morning is usually one of our favourite parts of the day as we get to know the bridal party and other suppliers who are contributing to the hair, make up and floral arrangements. Malcolm had hired an apartment close by to get ready and when Bryan turned up at 10.30am he was already dressed! He was just too excited! The ceremony was lovely - we have to say Humanists are our favourite type of ceremony as they are so personal to the couple and we come away feeling like we know them a lot better. There was a traditional handfasting, candle lighting and a couple of readings which were quite emotional for everyone. 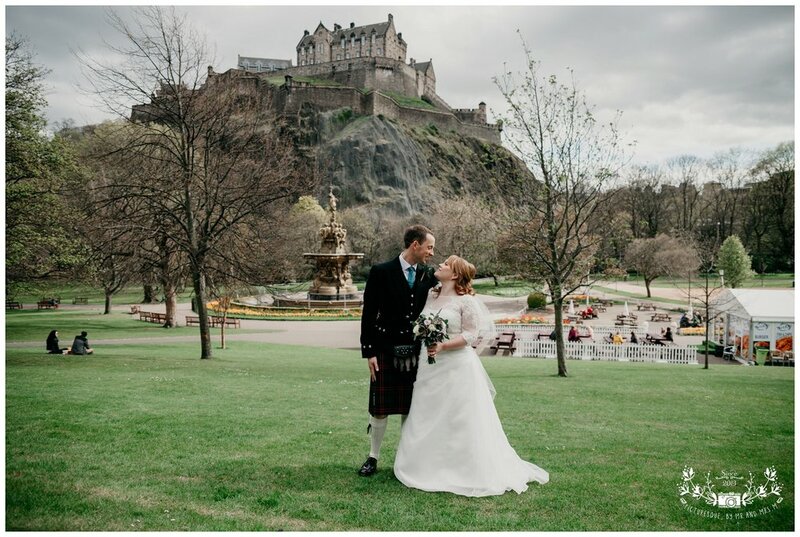 Afterwards everyone came outside for confetti, family photos, mingling and drinks while we took Katie and Malcolm across to Princes Street Gardens for their couples session. The park was quite busy but we found some nice quieter spots and we really enjoyed photographing these two. They're very cute together! Then it was back to the Ghillie Dhu for speeches. 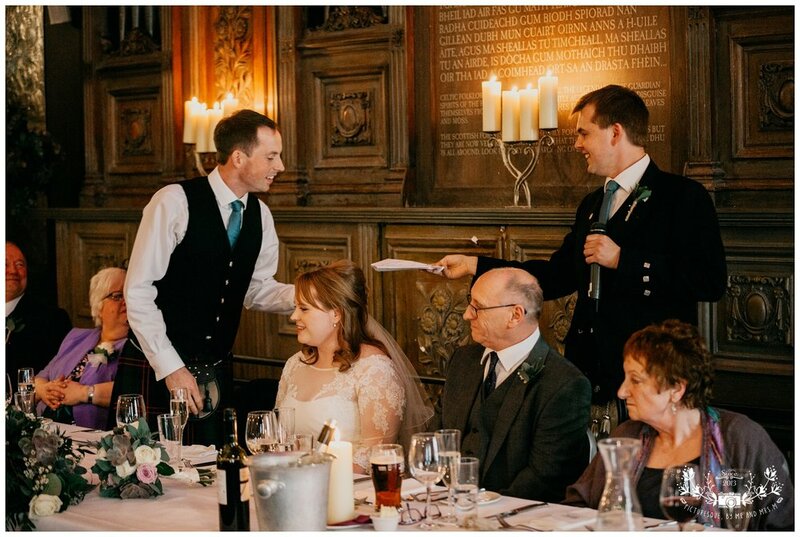 One of the best bits was when Malcolm had to choose between two envelopes for the best man's speech - scary! It all went well though and there were lots of laughs. After dinner, just before the cake cutting as we were admiring the cake topper Malcolm told us it is a family heirloom and has been on their wedding cakes for the last 60 years. We thought that was amazing and it's things like that which make each wedding unique. They had their first dance and then it was on to some ceilidh with the fastest Strip the Willow we have ever seen! It was all so much fun. 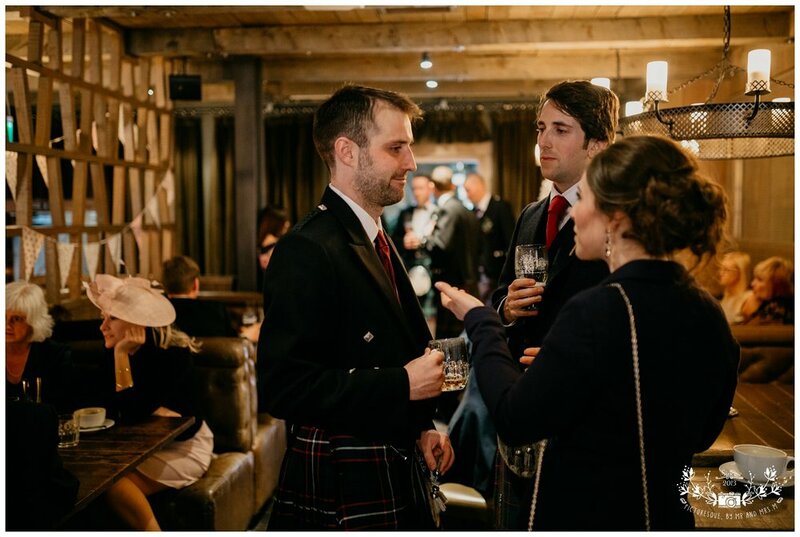 We had the best time at the Ghillie Dhu and we would love to go back for another wedding. Here are some of our favourite images from the day.